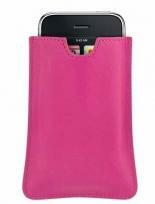 Holds popular cell phones and MP3 players. Plastic carabiner clip with webbing strap belt loop. Elastic gussets on sides and bottom. Actual Size: 4-1/2"h x 2-1/2"w Imprint Area: 2"h x 1-1/2"w Packaging: Bulk Shipping Weight: 12 Shipping Quantity: 250. 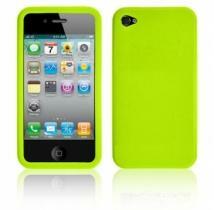 Fits most personal electronic devices. Helps protect from scratches. Fabric lined interior in contrasting colors. Easy access thumb-notch opening. Techyde Simulated Leather material. Includes Deboss or one color screen print. Material: Techyde Simulated Leather. Height: 5 3/8" Width: 2 9/16" Depth: 1/8" Imprint Area: 2" x 2" Centered on front. Weight: 6.5 Packaging: Bulk Pieces/Carton: 320 Weight/Carton: 19 lbs. Send your logo to the gym, the park and beyond! The Wellness Electronic Carrying Case securely holds iPods, mp3 players, cell phones and more, all while promoting your brand. 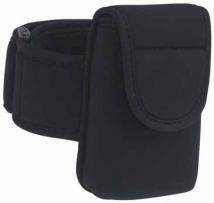 Made of jersey knit with foam backing Hook and loop closure keeps contents secure Adjustable hook and loop arm band Securely holds iPods, mp3 players, cell phones and more Padded for extra stability. Size: 2-3/4W x 4-3/4H x 1/2D. Standard Print Area: Lower flap, 1-1/2W x 1-1/4H Optional Embroidery Area: Pocket (below flap), 1-1/2W x 1H. Other decorating methods are available for this item, please call. Packaging: Bulk Package Quantity: 144 Package Weight: 14 lbs. Fits most electronic devices. Helps protect from scratches. Soft, supple leather. Easy access thumb-notch opening. Top Grain Leather material. Includes Deboss. Material: Top Grain Leather. Height: 4 7/8" Width: 3 1/2" Depth: 1/8" Imprint Area: 2" x 2" Upper center on front. Weight: 2.13 Packaging: Two Piece Gift Box Pieces/Carton: 180 Weight/Carton: 24 lbs. BUILT Netbook Sleeves offer protection without bulk, and fit into backpacks, totes, or luggage. They're easy to travel with, and the checkpoint friendly design lets you go through airport security with the netbook inside the sleeve. 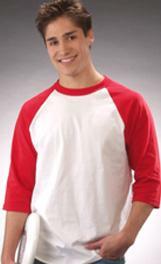 BUILT neoprene sleeves come in a variety of eye-catching colors and patterns. Choosing just one-well, that's up to you Stretches to custom fit a range of 9-10 inch netbooks. Made from protective neoprene (the wetsuit material). Proprietary hourglass design secures netbook in place. Shark Gill Grips on the side make gripping sleeve easier (excludes French Bull patterns). Checkpoint friendly-please ensure only netbook is in bag for screening. Stain resistant. Machine wash cold, drip dry. Want to spark your imagination-and stand out from the crowd? Just choose a BYO sleeve that matches your style. 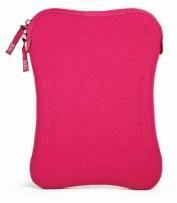 The neoprene keeps laptops and netbooks safe, and the vibrant colors will make everyone go wow! The BYO Sideways Laptop Sleeve 11-13" form fitting design keeps 11-13" laptops safe and secure. Checkpoint friendly-ensure only the laptop is in the bag for screening. Machine wash cold-Drip dry. Exterior sleeve dimensions: W 11.75" x H 9.25" x D .75". 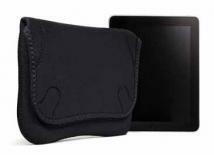 The Neoprene Sleeve protects your iPad without added bulk. It's easy to carry, or you can add it to your backpack, tote, or luggage. Whether you're taking your iPad to the cafe or to a meeting, BUILT's Neoprene Sleeve will protect it from bumps and scratches. Now all you have to do is choose your favorite apps. Made from protective neoprene (the wetsuit material). Checkpoint friendly-please ensure only iPad is in bag for screening. Machine wash cold, drip dry. Size: W 8.75" x H 11.4" x D 1". The Hoodie Netbook Case guards your netbook no matter how many hard knocks it takes. The rigid EVA back and sides provide extra protection, and the elastic neoprene cover folds over the top securing your netbook in place. It has a built-in back pocket to hold cables and cords, providing easy access to those must-have accessories when you're on the go. The Hoodie is easy to travel with, and fits into backpacks, totes or luggage. 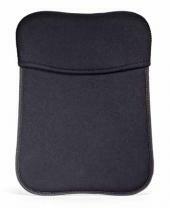 Holds and protects a range of 7-10"" netbooks. Also fits iPad. Made with a unique rigid EVA back for extra protection. Elastic neoprene front cover stretches over top to custom fit netbooks. Built-in back pocket stores cables and cords. Soft inner lining protects finish of netbook. Checkpoint friendly-please ensure only laptop is in case for screening. Stain resistant. Hand wash, drip dry. Size: W 9" x H 12" x D 1.6". The Neoprene Envelope protects your iPad without added bulk. It's easy to carry, or you can add it to your backpack, tote, or luggage. Whether you're taking your iPad to the cafe or to a meeting, BUILT's Neoprene Envelope will protect it from bumps and scratches. Now all you have to do is choose your favorite apps. Made from protective neoprene (the wetsuit material). Interior pocket to hold accessories. Checkpoint friendly-please ensure only the netbook is in the bag for screening. Soft inner lining protects finish of netbook. Stain resistant. Hand wash, drip dry. Size: W 11.5" X H 8.5" X D 1".